Dr. Susan M. Cotter, DVM, whose early work in Feline Leukemia Virus shed light on viruses that cause leukemia and other neoplastic diseases—and paved the way for a better understanding of retroviruses such as AIDS—will be among five faculty members honored this weekend with emeritus designations by New England’s only veterinary school. The professors will be conferred their emeritus titles—doubling the number that the school has awarded in its 32-year history—at the Cummings School of Veterinary Medicine’s 2010 commencement ceremonies Sunday, May 23, at the Agnes Varis Campus Center on the school’s Grafton campus at 3:00pm. After earning her DVM degree from the University of Illinois in 1966, Dr. Cotter completed an internship at Angell Memorial Animal Hospital in Boston where she remained on staff as an internal medicine specialist from 1967–1981. In 1975, Dr. Cotter became a diplomate of the American College of Veterinary Internal Medicine in Oncology and a charter member in oncology in 1988. From 1975 to 1980, Dr. Cotter worked with Dr. Max Essex, Chair of the Department of Cancer Biology at the Harvard School of Public Health. Her pioneering investigations of the feline leukemia virus (FeLV) were the first to demonstrate that viruses that cause leukemia and certain other neoplastic diseases can be transmitted in a contagious fashion. She also demonstrated that retroviruses such as FeLV can induce immunosuppression, and can therefore cause disorders other than malignancy. This work led to serologic testing and vaccination for the FeLV, and greatly reduced disease rates among cats. What’s more, Cotter also demonstrated that the FeLV-infected cat was an appropriate animal analogue to the HIV-infected human—a discovery that contributed significantly to the rapid pace of early research into the AIDS virus. At the Cummings School since 1981, Cotter, who retired this year as a Distinguished Professor of Clinical Sciences, published pioneering work on the use and value of chemotherapy to treat cancer in companion animals. Her work was adopted as the gold standard by the Veterinary Cancer Society. The author or co-author of more than 60 scholarly publications, Dr. Cotter is also recognized as a foremost thinker on hematology and transfusion medicine. She wrote the textbook Comparative Transfusion Medicine—one of more than 40 textbooks she contributed to throughout her career. Dr. Harold Hammerquist, who capped off 53 years of clinical service with a 23-year tenure at the Cummings School’s Tufts Ambulatory Service, was also one of the founding faculty members of the then-Tufts Veterinary School. Hammerquist served as a member of the US Army Air Corps during World War II, then took advantage of the GI Bill to pursue a bachelor’s and veterinary degree from Colorado State University. After returning to his native Idaho to run a successful private practice, he joined Tufts’ faculty in 1983. Dr. Hammerquist fully retired in 2006, at the age of 80. Known for his engaging teaching style, Dr. Hammerquist demanded professionalism and fostered independence among his students as he coached students through their month-long stint at Tufts Ambulatory Service. 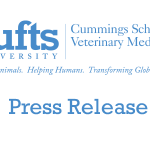 He was also four-time graduation speaker and a four-time teaching award winner, making him the most frequently honored member of the Tufts veterinary faculty. As a demonstration of pride in his teaching, he kept an album of pictures he took of every student he taught from 1984 to 2006. Another founding father of the Tufts Ambulatory Service, Dr. George Looby began the clinic that ultimately became Tufts Ambulatory Service, in addition to several other notable accomplishments in his Tufts career. After earning his veterinary degree from Kansas State University, Dr. Looby served as a practitioner at two mixed-animal practices before starting the Woodstock Veterinary Clinic, a mixed-animal practice in Woodstock, CT. 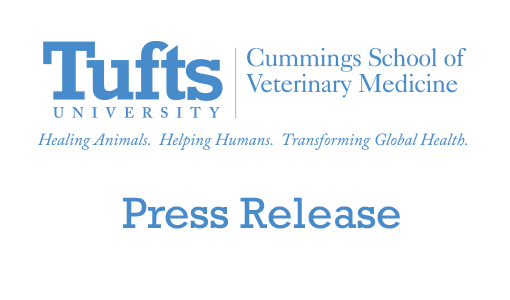 In 1981, Tufts University purchased the large-animal portion of Dr. Looby’s practice—bringing both Looby and George Saperstein, DVM (now professor and chair of the Department of Environmental and Population Health) onto the veterinary school’s faculty. The dairy-based large animal practice, Tufts Ambulatory Service, has since grown to become the largest large animal ambulatory service in Southern New England—housing eight faculty members and serving more than 40,000 livestock. In 1984, Dr. Looby was appointed to direct the Foster Hospital for Small Animals and the Hospital for Large Animals, deepening the two hospital’s relationships with referring veterinarians. He then resumed his clinical and teaching duties at the ambulatory service until his retirement in 1994—after which he oversaw the school’s farm as a part-time faculty member until 2002. During his career, he also served as the Connecticut delegate for the American Veterinary Medical Association, the president of the New England Veterinary Medical Association, and president of the Connecticut Veterinary Medical Association. An outspoken advocate of preserving agricultural history, Looby taught his students to respect rural families and understand their challenges while working to improve animal welfare. Dr. Lawrence Kleine, the Cummings School’s first section head for radiology, served on the school’s faculty for 26 years while publishing pioneering work on the behavior and appearance of major diseases in small animals. Soon after completing his veterinary studies at Purdue University, Dr. Kleine served as director of radiology at Angell Memorial Hospital in Boston. During his tenure there, he served on Tufts President Jean Mayer’s advisory board for the formation of a veterinary school—then joined the new school’s faculty in 1981. During his career, Dr. Kleine published numerous articles establishing radiographic hallmarks in small animals of diseases such as acute pancreatitis in dogs, as well as growth-plate and urinary tract trauma in dogs and cats. He oversaw the fourth-year clinical rotations for veterinary students in diagnostic imaging and chaired several committees for the school, including its faculty counsel, ethics and grievances, and outcomes assessments—the latter of which led to an invited article in the Journal of Veterinary Medical Education. In addition to his Tufts appointment, he also served as an adjunct faculty member at Harvard Medical School, as well as Brigham and Women’s and Beth Israel Hospitals. With more than 70 scholarly publications—especially on prostate cancer—Dr. Irwin Leav brought a strong research sense to the veterinary school’s early days and helped build its basic curriculum. A veterinary alumnus of The Ohio State University, Dr. Leav began his long tenure with Tufts University in 1969, when he was appointed an instructor at the School of Medicine. While serving as the assistant to the school’s dean, he was invited to help create the new veterinary school’s basic science curriculum, and became its first associate dean for research in 1978. Leav was an early advocate for the development of a robust research operation on the Cummings School’s Grafton campus. In addition to securing his own research funding from the National Institutes of Health, the Environmental Protection Agency, and the US Army, he also helped to build the school’s contract research operation and established its combined DVM/PhD program . A forward-thinking teacher, Dr. Leav served as course director of the General Pathology and Reproductive Pathology courses—and was among the first faculty to use the Internet as a teaching tool. He retired in 2006 after spending 37 years on the Tufts faculty.